Pro Tools Instrument Expansion Pack, Virtual Intrument Bundle from Digidesign in the Pro Tools series. 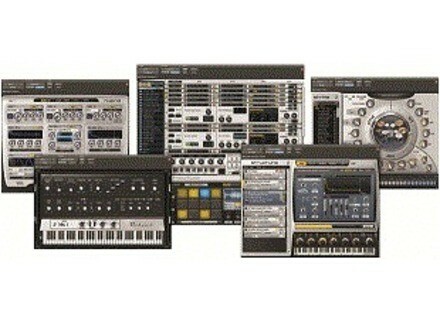 Digidesign will introduce and reveal the new Pro Tools Instrument Expansion Pack at this weeks NAMM. 55 GB of linear (uncompressed) sound content - time to buy ANOTHER hard drive! Bug fixes - Pages of them! [NAMM] Sample Logic Morphestra Upgrade This upgrade from 80 GB to the new 160 GB is designed to allow you to fit all of your Sample Logic products onto one portable drive. [NAMM] E-MU 0404 USB 2.0 E-MU Systems has announced that the software bundles for the 0404 USB 2.0 and Tracker Pre 2.0 audio interface products have now been updated and improved. ModernBeats Ethnic Chopz 2 Featuring over 840 24-bit samples of rare ethnic instruments from around the world, ModernBeats releases the "Ethnic Music Chopz 2" soundset.